The upcoming action-adventure third-person shooter Uncharted 4: A Thief’s End was first announced at the PS4 launch event on Spike TV in November 2013 and then a followup recent gameplay trailer was displayed on the PlayStation Experience event. The game is now available online for pre orders and many gamer have started booking their copies of the game. 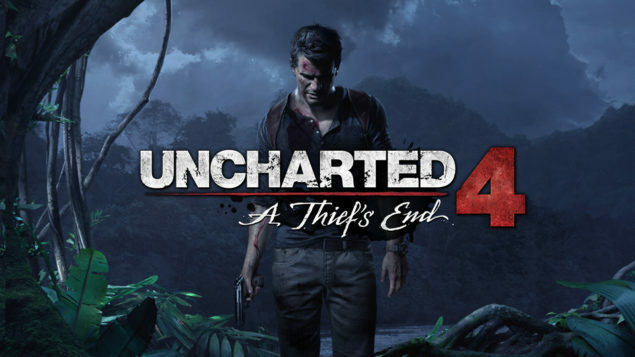 Uncharted 4: A Thief’s End, under development by naughty Dog and published by Sony Computer Entertainment, is one of the most anticipated titles across the PS4 for which a lot of speculation has made and lots of comparisons made. Like previously we compared the uncharted 4 visual enhancements on Nathan Drake as compared to Uncharted 3. 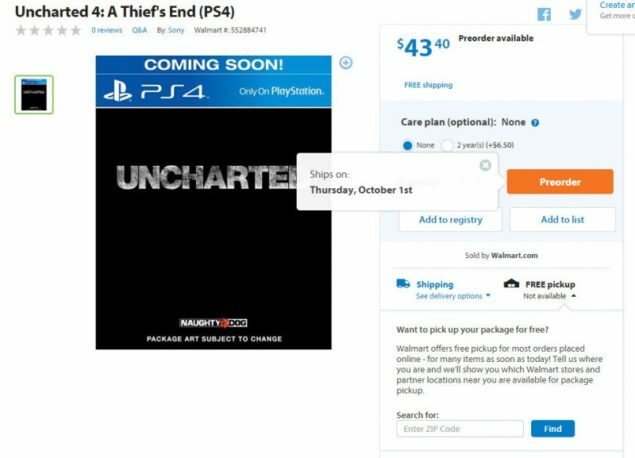 With several deals available online for the upcoming video game pre orders, Uncharted 4’s release date has been some-what leaked by Walmart. The upcoming game has lots of deals available online, where you can get the most value for money including the PS store which currently has a 10 percent discount due to make-ups for the PSN downtime. But the best deal where you can buy Uncharted 4: A Thief’s End at best price is for $43.40 on Walmart. And as you can see below the the game is expected to ship from Thursday, the 1st of October so that may be when the game is actually releasing. Although nothing is confirm yet but it looks like we can expect the game to release by October. Have a look at the screenshot below. This may not necessary be the actual release date for the upcoming game and hence i’m marking it as a rumor but it just cannot be a random release date set aside the pre order. The expected date might be the release date or a date by which the game will surely be out as we can probably say this by certainty that major vendors will have a release or expected release date though official channels which we can now take advantage of and guess around which time the game is releasing. This is basically based on speculation at his point but might i point out that this is how leaks are cultivated which are later confirmed by the developers. We can now also expect an official comment on the release date soon. We’ll keep you updated on the latest gaming news and more on Wccftech.